Need a Holiday Sugar Fix? Head to Danvers. Whether you’re in need of treats for a holiday gathering or looking for a wow-them hostess gift, Cakes for Occasions is the place to go. The Danvers bakery has been featured on “TV Diner,” “The Today Show,” and even “Home Shopping Network,” so we were eager to see what all the fuss was about. 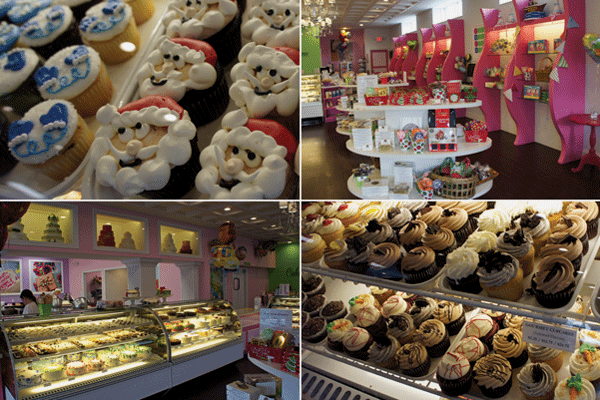 Walking through the door is like stepping into a sugar-fueled fantasy. Rows of gorgeous cakes, pastries, and cupcakes await your ogling pleasure, as well as shelves full of cookies, candies, and all manner of treats. We love the fact that you can see into the decorating kitchen to watch cakes being created. Owner Kelly Delaney had a few minutes to chat with us and told us about the store’s recent renovations, which doubled the space this summer. Delaney is smart, funny, and clearly knows her business. Overwhelmed by the array of treats, we opted to try a few varieties of cupcakes. The cupcakes range from traditional chocolate and vanilla to gourmet flavors like Death by Chocolate, Mocha Bliss, 24Karrot, and Strawberry Grand Marnier. ($1.25 to $2.95). We also tried a few of cocktail-inspired mini-cakes dubbed Cupcakes After 5 ($2.25). Both the Champagne & Strawberries and the Kahlua Mudslide were delicious, but we didn’t find them particularly boozy. And because they are smaller, the topping-to-cake ratio gives a sweeter overall experience. For the price, we’d go with the larger specialty flavors. Those with special dietary needs will be glad to know that bakery is not only 100% nut-free, but also offers options for gluten free and sugar-free treats, so don’t be afraid to inquire. 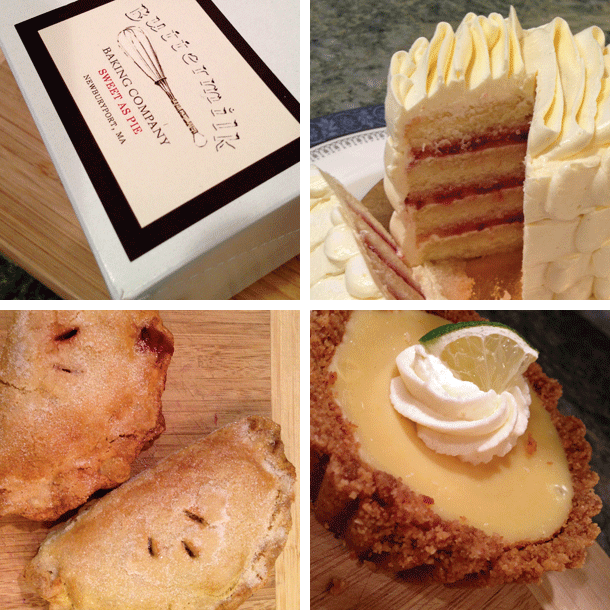 Cakes for Occasions has a .pdf Holiday menu and online ordering at their website, but we suggest stopping by the bakery for the full sensory experience.